Drackenberg's is more than just a smoking bar – we’re also a Wine Bar. 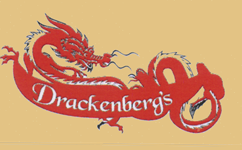 Drackenberg's proudly features an extensive wine list with award-winning wines from across the globe. Whether you're looking for a noteworthy bottle of French wine to share with friends, or a glass of sparkling, white, red or pink, you can find anything to please your palate on our extensive wine list.